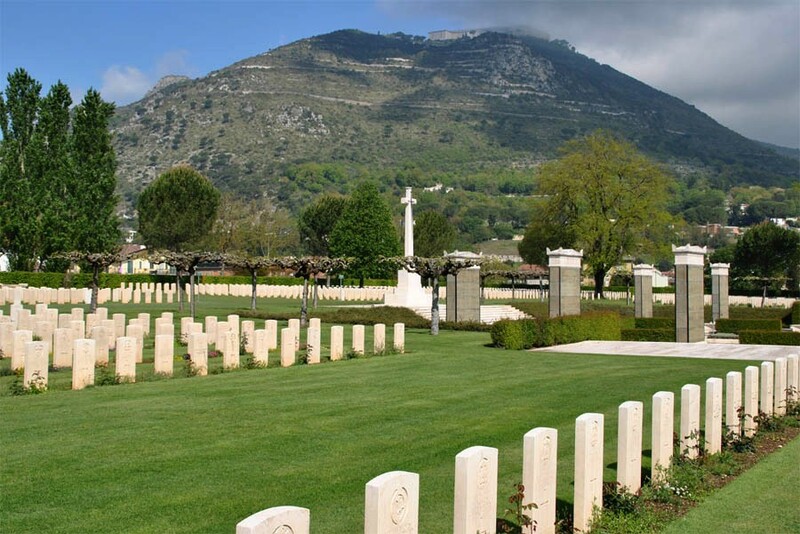 The Cassino War Cemetery is located at the foothill of Mount Cassino - just below the Monastery of Monte Cassino, which was the main Allied target during one of the toughest battles in Italy during World War II. 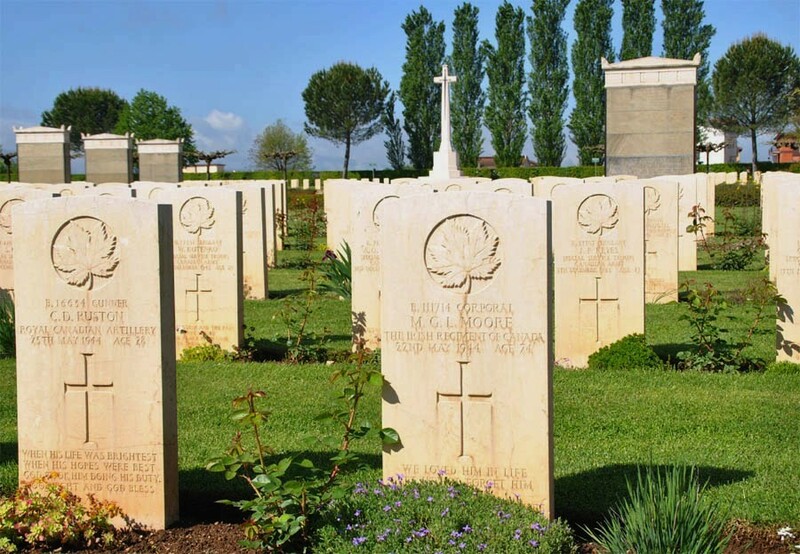 The cemetery holds the graves of 4,271 Commonwealth servicemen of World War II. 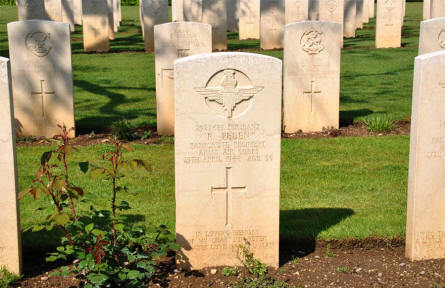 289 of the burials are unidentified. At the cemetery stands the "Cassino Memorial" which commemorates over 4,000 Commonwealth servicemen who took part in the Italian campaign whose graves are not known. 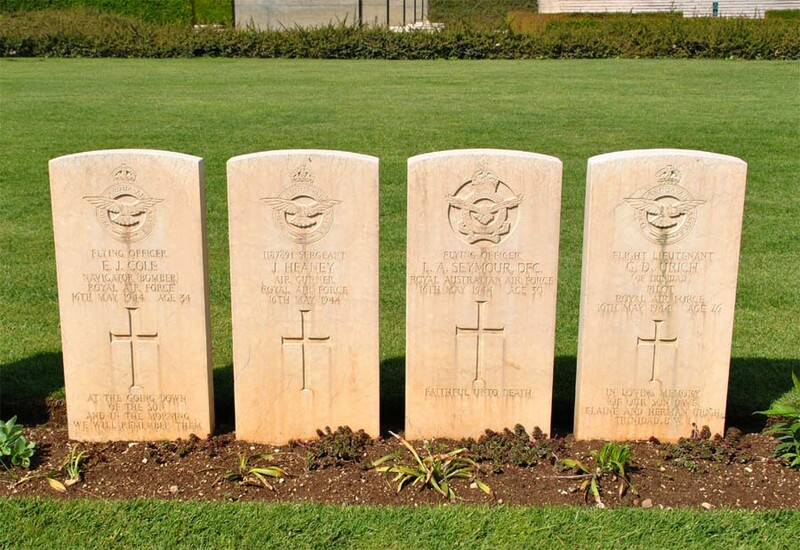 The World War II grave of a RAF aircrew (killed on the 16th of May 1944) at the Cassino War Cemetery. 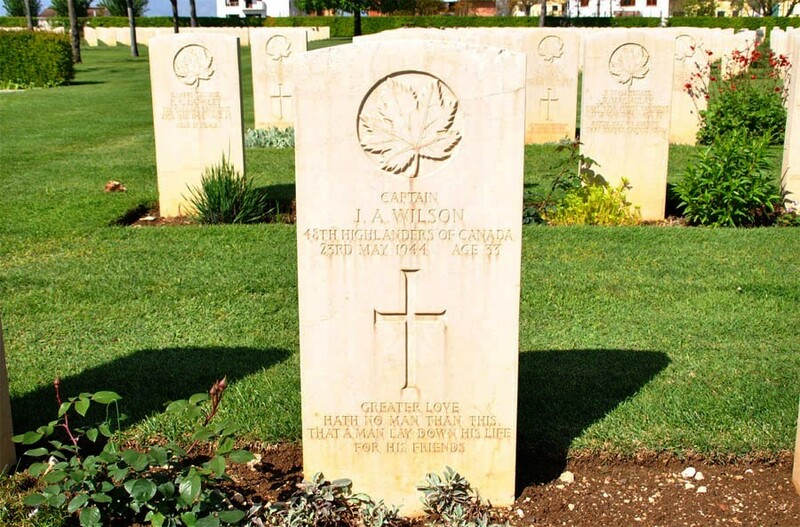 The World War II grave of Captain J.A. 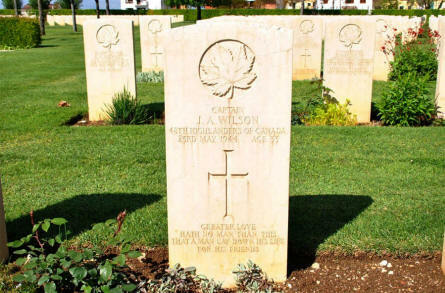 Wilson (died on the 23rd of May 1944) at the Cassino War Cemetery. 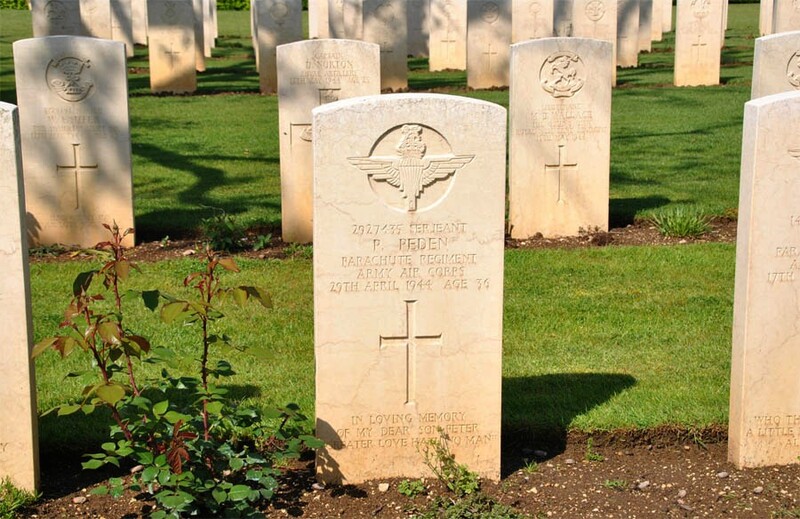 The World War II grave of Sergeant P. Peden (died on the 29th of April 1944) at the Cassino War Cemetery. 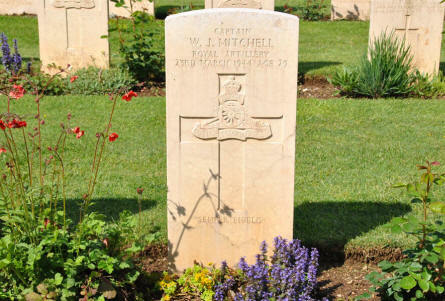 Some of the many graves - and the Cross of Sacrifice - at the Cassino War Cemetery. 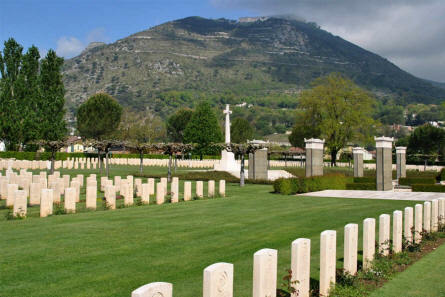 In the background the Monastery of Monte Cassino can be seen at the top of its mountain. The World War II grave of Captain W. J. Mitchell (died on the 23rd of March 1944) at the Cassino War Cemetery. Some of the many Canadian World War II graves at the Cassino War Cemetery.